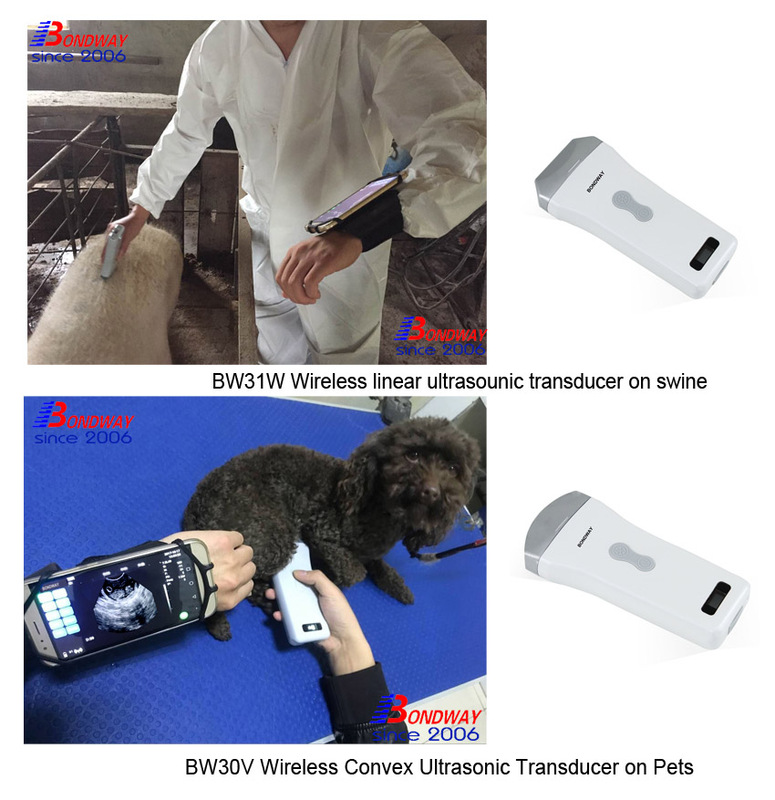 Want to turn you smart cell phone or pad into an veterinary ultrasound scanner? Find a long probe cord annoying when you use a veterinary ultrasound ? Want to share your happiness with your friends or family member by scanning a pregnancy pets and tell them how many baby pets you’ll have,and how many male and how many female? 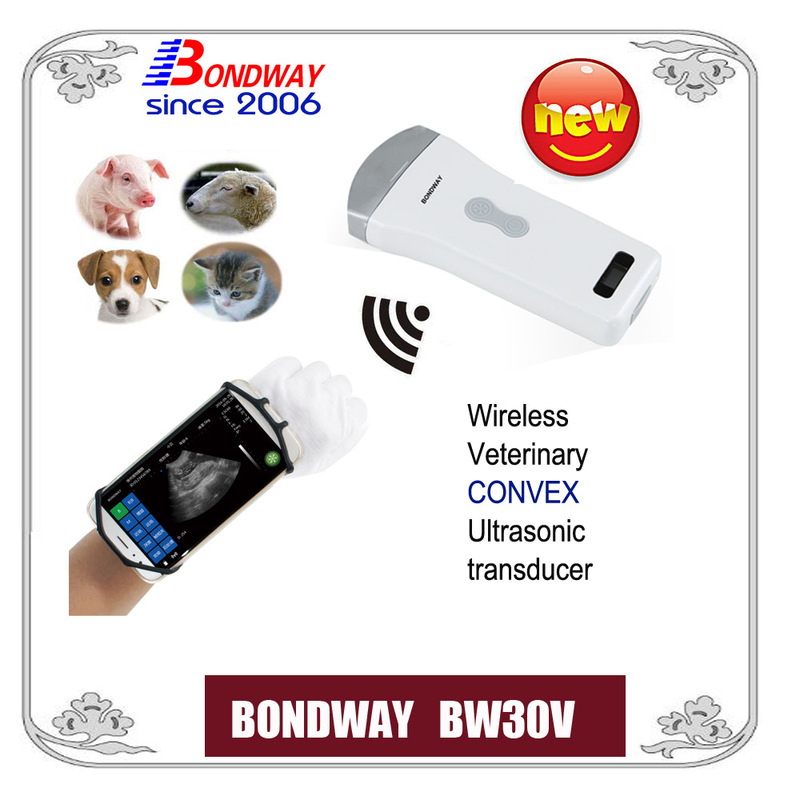 Your smart cell phone or Pad (Android Operating system) will be turned into a veterinary ultrasound scanner by simply installing one app coming with this ultrasonic probe or transducer, which you can use it for over 3 hours continously with one fully-charged battery. Such a compact, lightweight and wireless design will make your ultrasound scan more comfortable and easier. *Cool-effect & simple operation: audio images storage, much easier to record measurement results. *Faster practical operation: One-key storage to improve diagnosis efficiency. -Measurement:distance, area, OB, lean percent, slope, heart rate, etc.